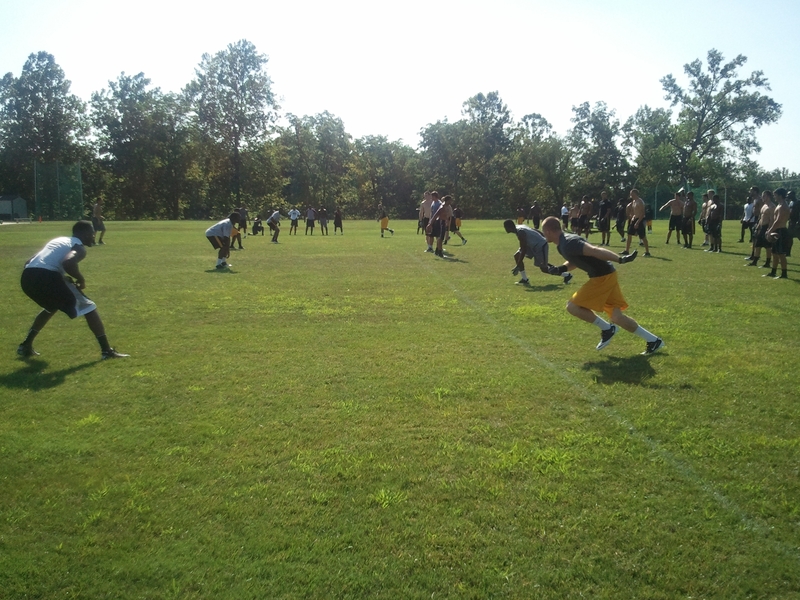 About 60 members of the Missouri Tiger football team took part in a voluntary, no coaches, 7 on 7 workout on Tuesday afternoon on the practice fields at Mizzou. It gave the players a chance to bond, have fun and teach the young guys about the program. MU players run through 7 on 7 drills. There was some structure. The players went through their normal stretching routine and the workout had elements of a regular team workout, including projected starting quarterback James Franklin walking around with a play chart. After 7 on 7, they even broke into 11 on 11 drills. Manny Haley reports more from Columbia.